Inspired by my beloved Chuck Taylor's, these felted knit high top baby shoes are super cute and stylish for both baby boys and baby girls! 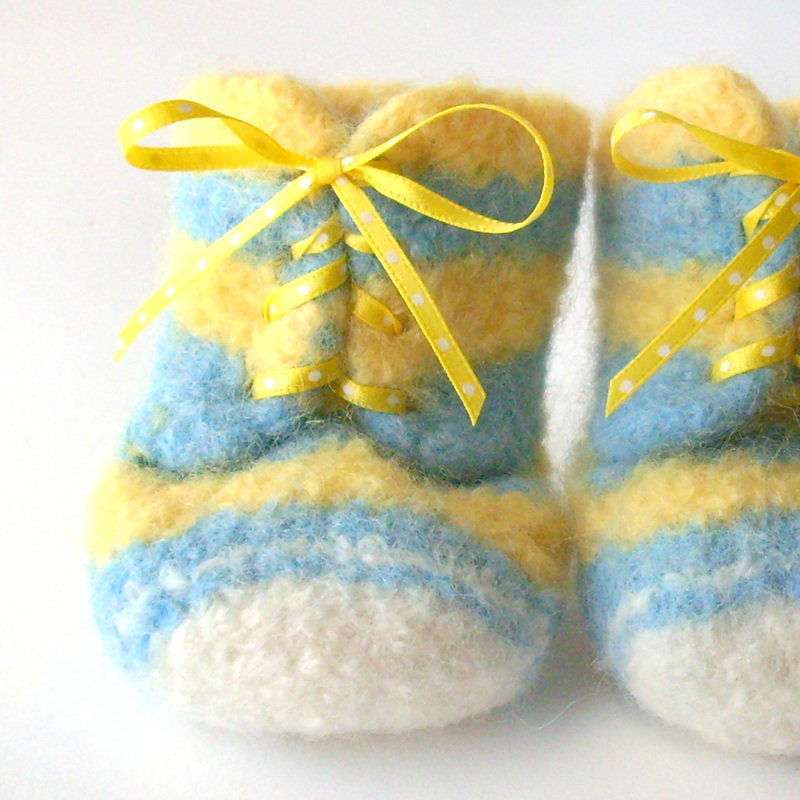 These make an excellent baby shower gift for boys or girls. 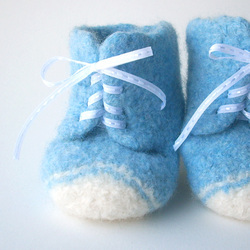 Dry clean preferred. 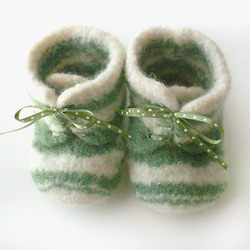 May hand wash in cool water, reshape and air dry. 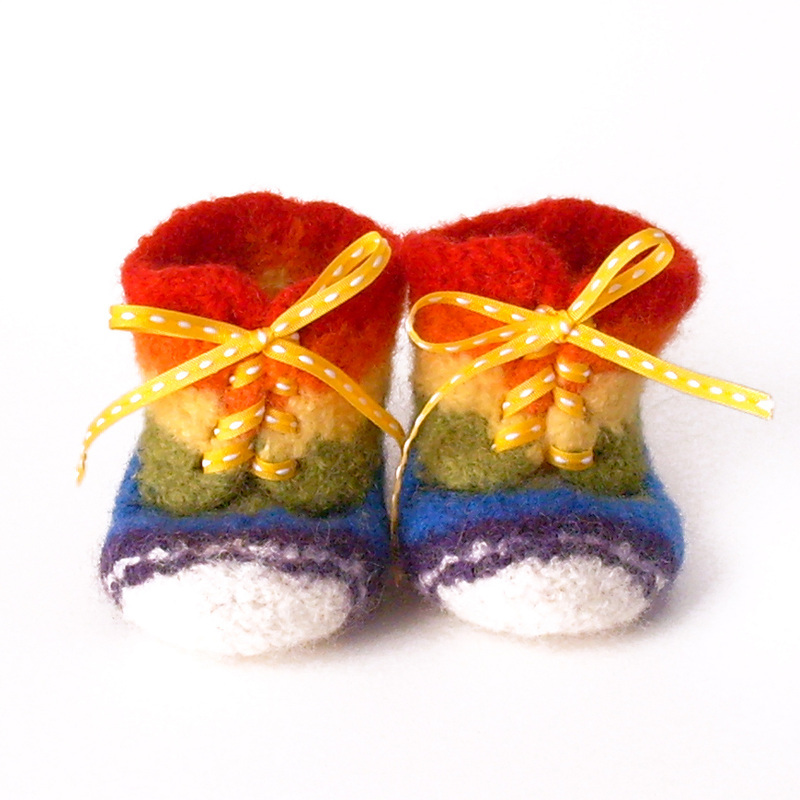 Each pair of these high tops is lovingly hand knit with wool yarn. 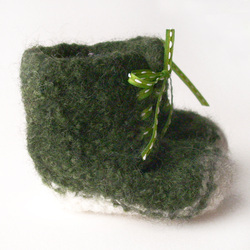 They start out as rather large booties, and shrink considerably in the "fulling" or felting process. 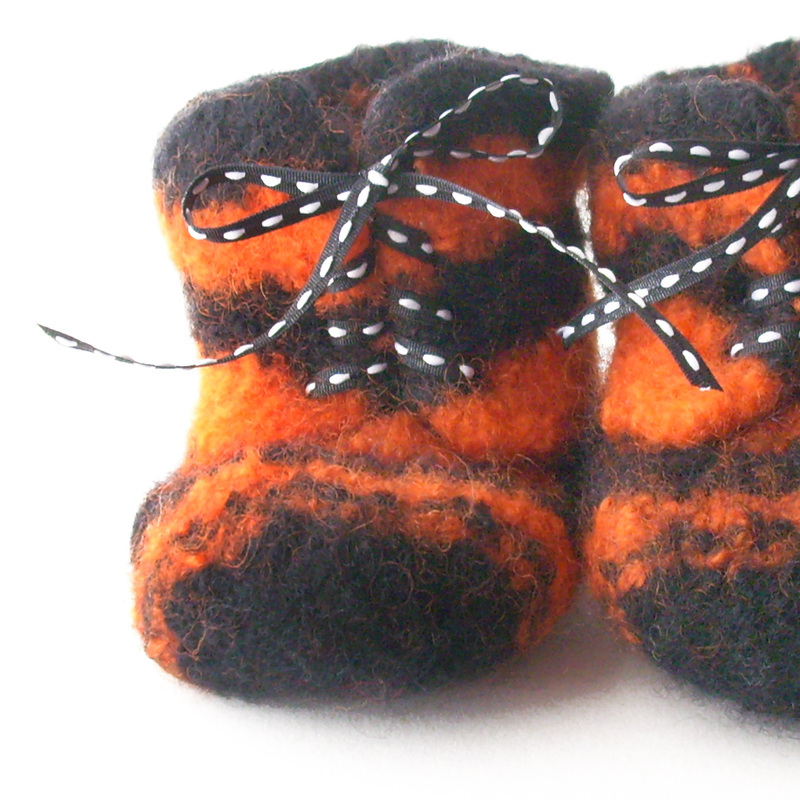 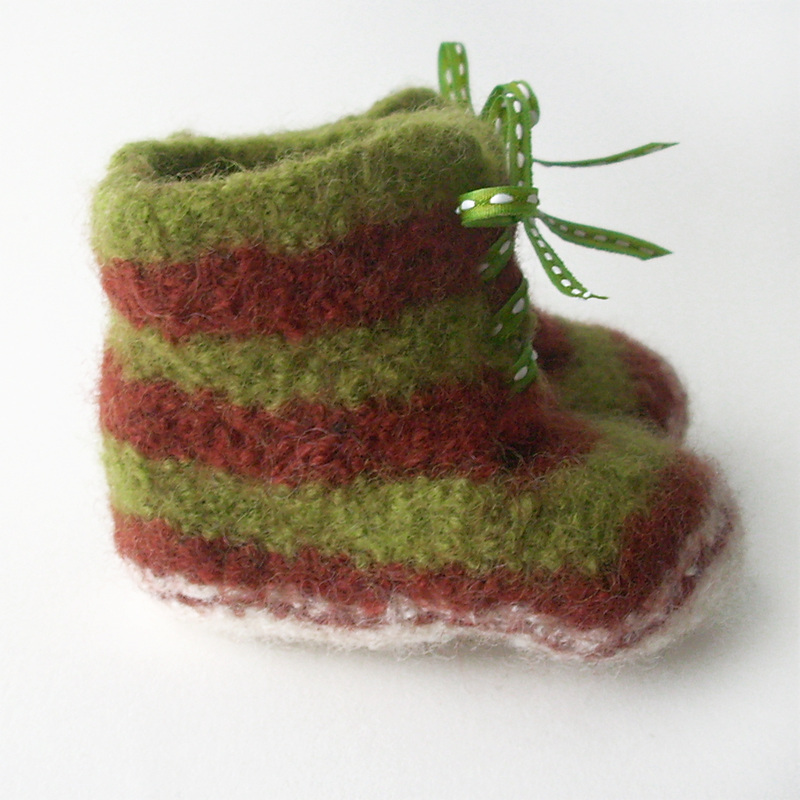 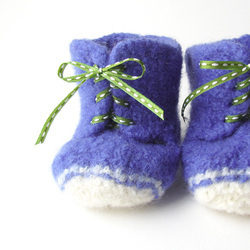 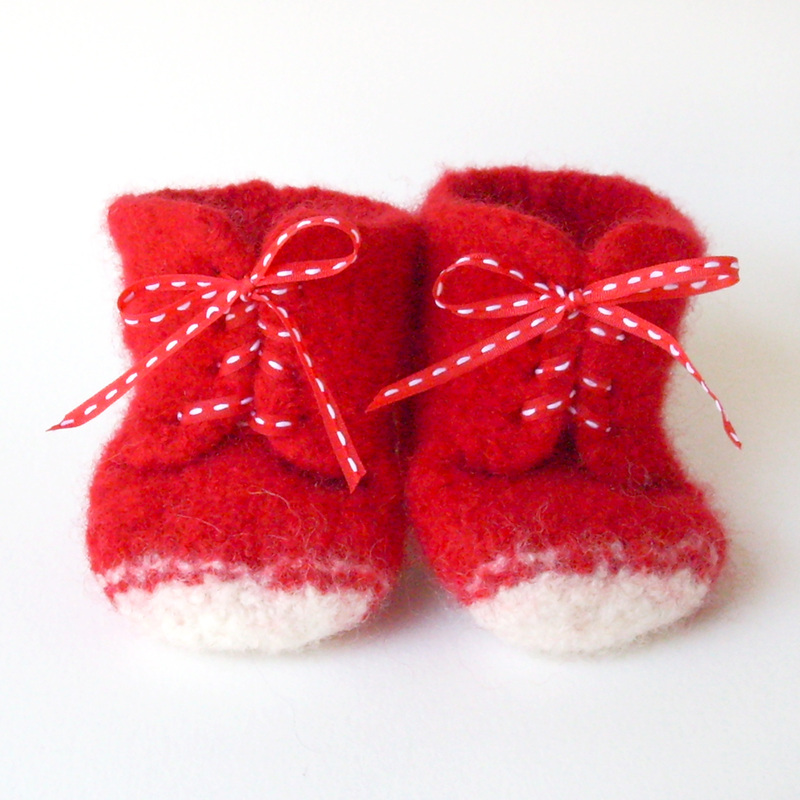 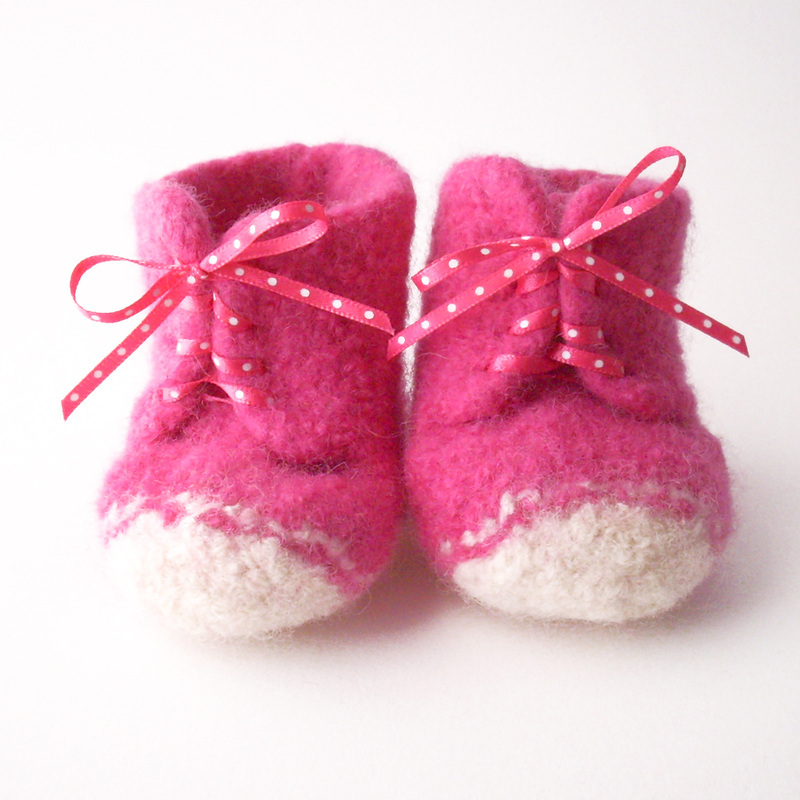 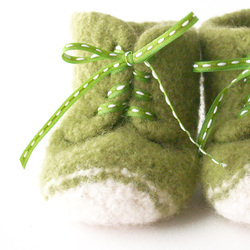 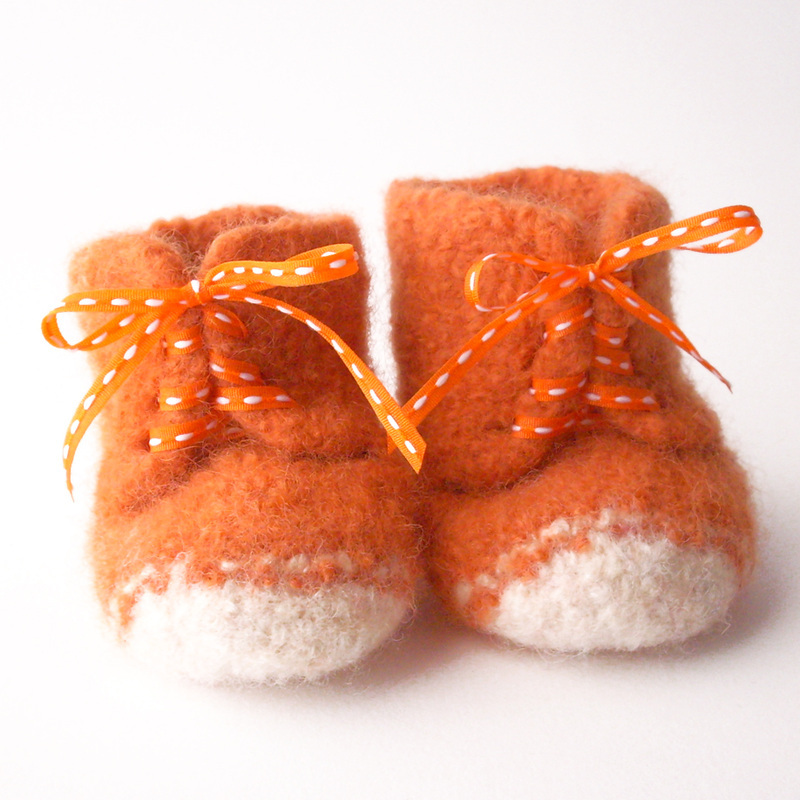 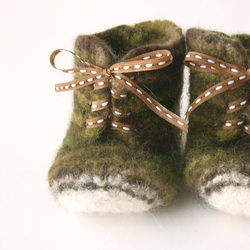 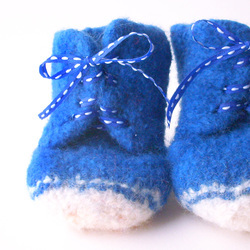 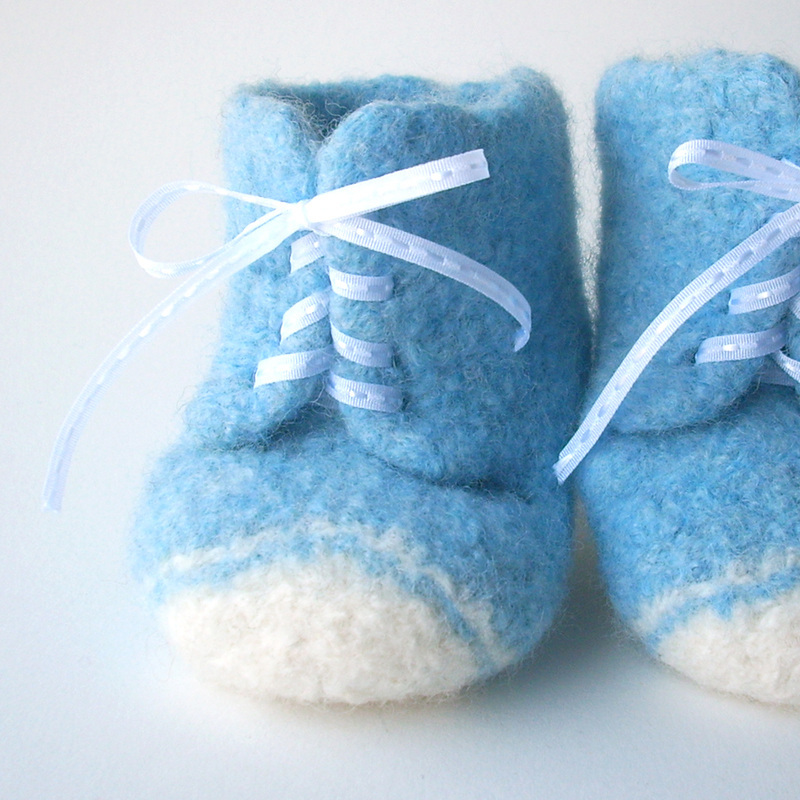 In this process, the knit booties are agitated in hot soapy water, which causes the fibers to shrink down and mat together to form a solid felted cloth. With nearly 20 felted wool colors to choose from, the color combination possibilities are endless! These come in a 100% recycled gift box tied with grosgrain ribbon, perfect for gift giving! 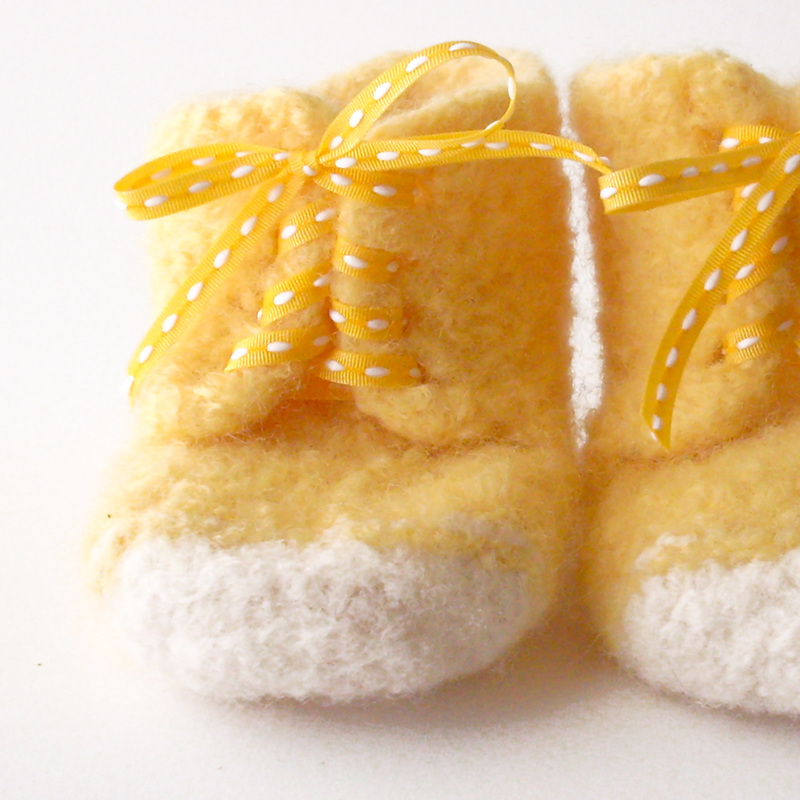 Available in my Etsy shop.